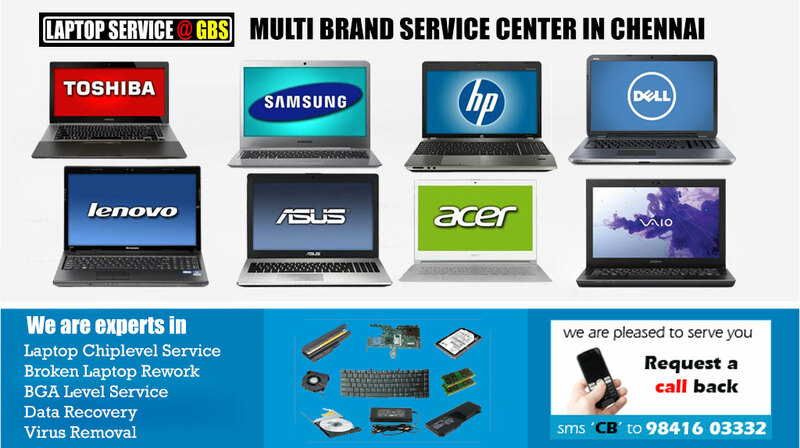 Laptop service GBS is a leading Laptop Service providing company, having +14branches in chennai. We've well experienced and trained engineers who can Repair/Service any kind of Laptop Problems or Issues. 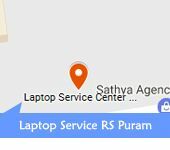 Our trained Laptop Service technicians are well-qualified to diagnose (Dell, Lenovo, HP, Sony, Acer, Toshiba, Asus Laptops etc. 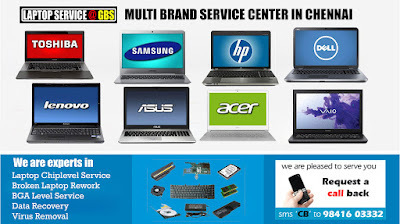 ), troubleshoot and repair almost all laptop problems including a malfunctioning keyboard, power surges, failed power jack, booting problems, and a dim or flickering LCD screen. We provide laptop repair services to many business, schools and government organizations. Simmakkal, Madurai - 625 001. 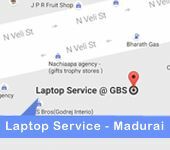 Chennai's No1 Laptop Service GBS having branches in OMR | Tambaram | Anna Nagar | KK Nagar | Velachery | Madipakkam | Adyar | Chrompet | Porur | Visit your nearest gbs laptop service center in chennai or call +91 9841603332 get a instant solutions of your laptop problems.